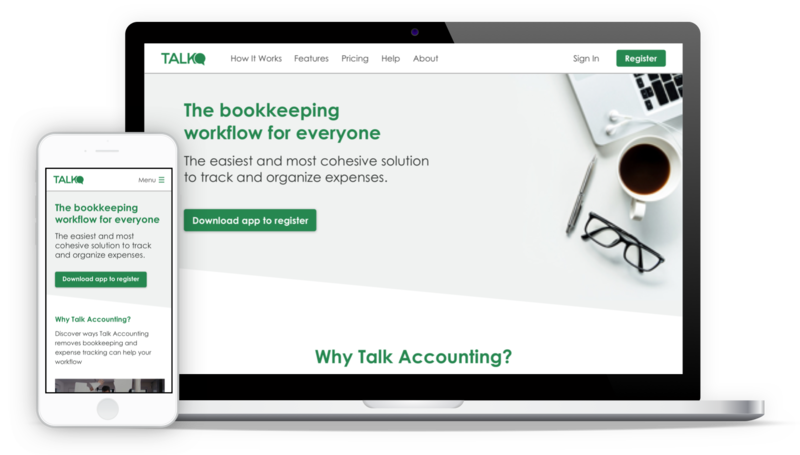 Talk Accounting’s product is a tool that uses AI, voice recognition, and notifications to help bookkeepers with their workflow. Visitors on the company site couldn’t tell what Talk offered and didn’t know how to sign up or use the product. The goal was to design a new landing site that clearly conveyed the product information in 2.5 weeks. how other products were presenting product information. 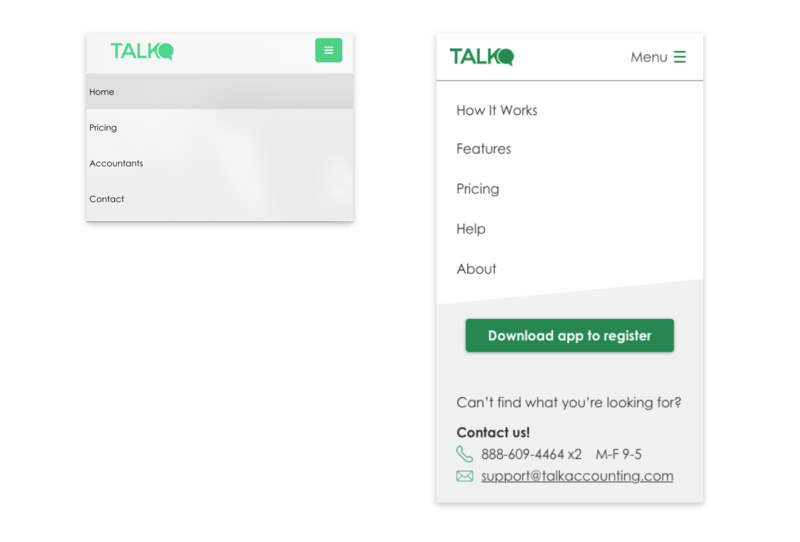 Our vision was to have the IA to match users’ mental model and the UI to be clear so it can deliver information succinctly in a scenario when they're on their mobile device with a short attention span. 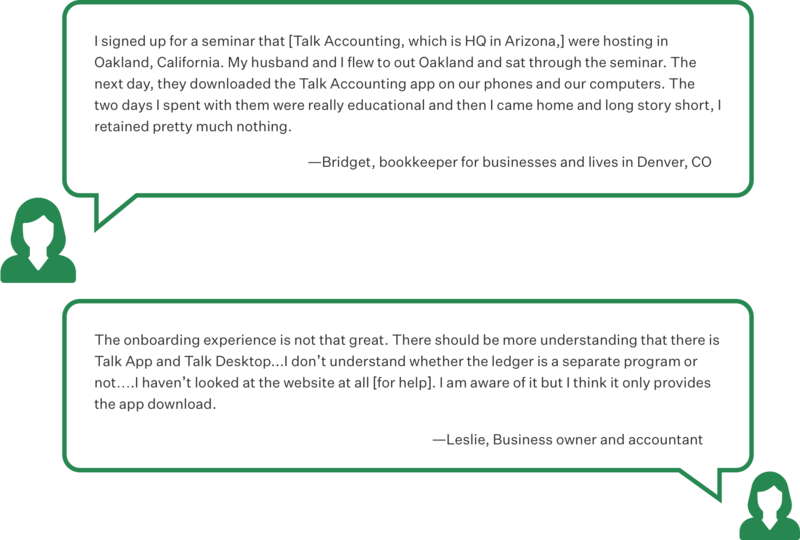 Research informed us that bookkeeping was a task done by a group that's broader than accountants and small business owners. The site structure consists of pages that are named to match topics people would see on a product page. 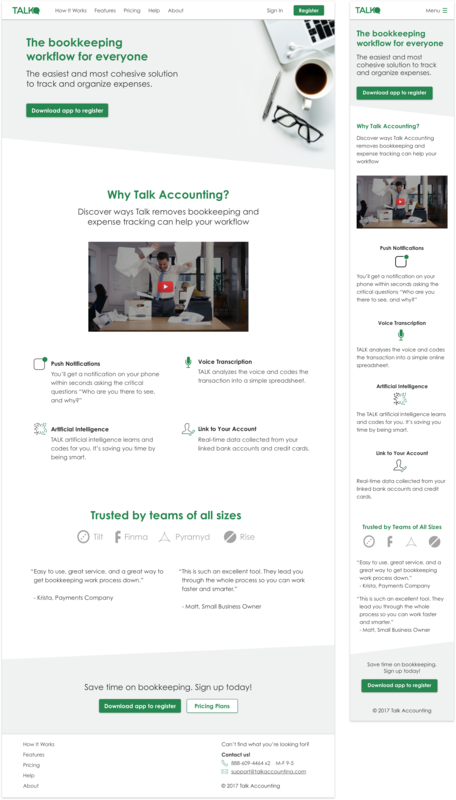 To address the bookkeepers' need for efficiency in their already task heavy roles, we designed the site allows them to move through it with as little friction as possible. The landing page summarizes the most important information. The most important actions are easily accessible. Consistent UI that acted as visual anchors. We also learned that people learn to use a product and troubleshoot issues in different ways. The viewer is given various ways to find additional information and seek help. Another thing we heard repeatedly heard from our user interviews was that potential users and customer didn’t trust the site. 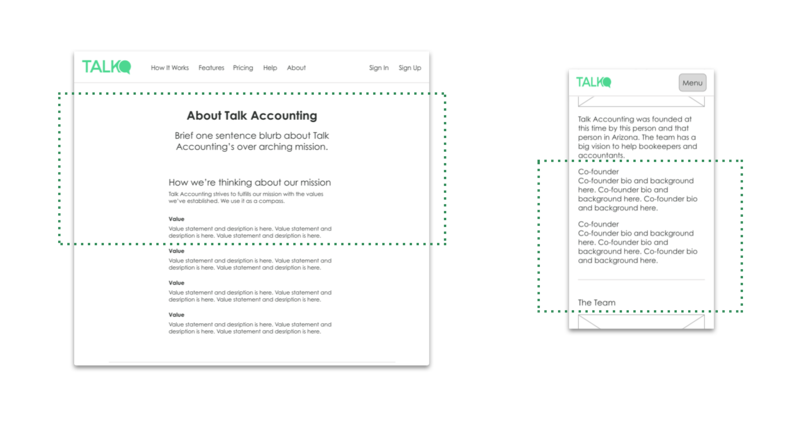 We help Talk start to gain trust by creating a page that introduces their mission and DNA on an About page. If we had more time and the resources, I would work with Talk or a content strategist to have the copy for the landing site so then we can accurately measure engagement and user acquisition. This project allowed me to truly understand that it is important to keep talking to users until a designer can view the problem objectively and be able to reframe it so then we can design with empathy. The process guided us on the IA of the site and the decision to design for a broader audience.